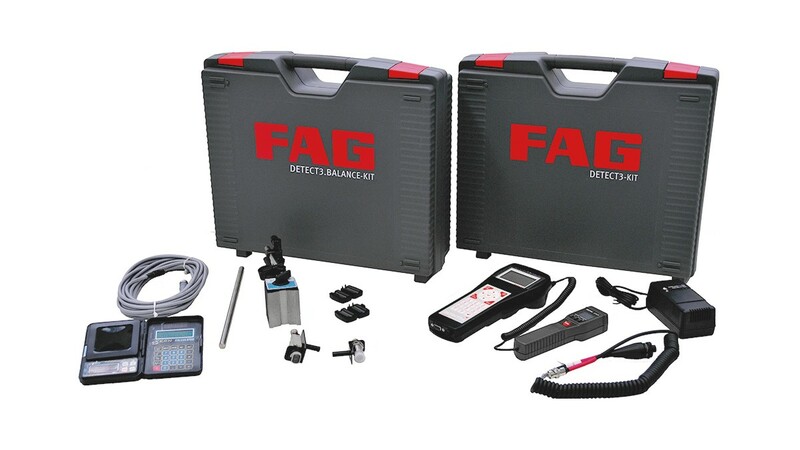 The FAG Detector III is a handy, easy-to-use vibration measuring device. Preinstalled standard configurations in accordance with DIN ISO 10816 make this a plug-and-play solution and allow authoritative information on the machinery condition – entirely without time-consuming training or system configuration. This facilitates the rapid inspection of ventilators, pumps, electric motors, compressors and vacuum pumps. All the user must do is start the measurement process by pressing a few buttons and wait until it is completed. The device evaluates the measurement results and presents the results, with self-explanatory symbols, on the device display. For a more detailed analysis, the Trendline PC software is available free of charge and includes comprehensive functions. These include the viewer, which offers the user a large number of tools for evaluating the data. Due to the integrated rolling bearing database containing approx. 20,000 bearings from various manufacturers, simpler and more efficient analysis of the measured data is possible. Since the damage frequencies can be incorporated in the measurement results, simple damage analysis is possible. The automatic detection of measurement points through the use of RFID technology provides error-free and precise identification of the measurement points on a measurement route. 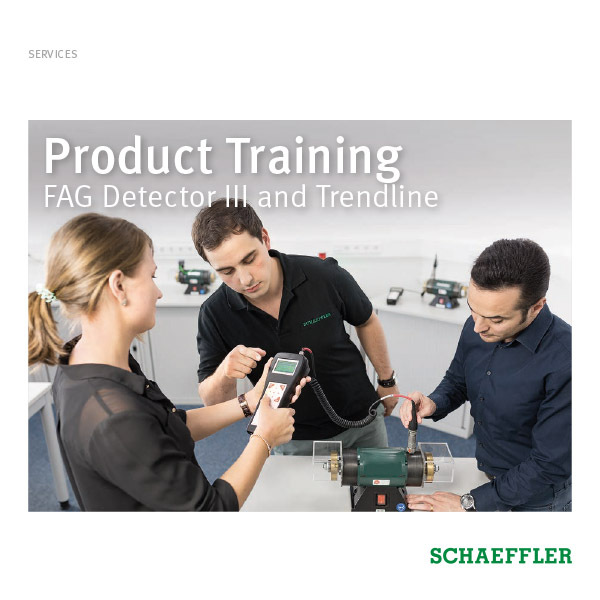 The FAG Detector III identifies the measurement points by means of RFID tags on the machinery. 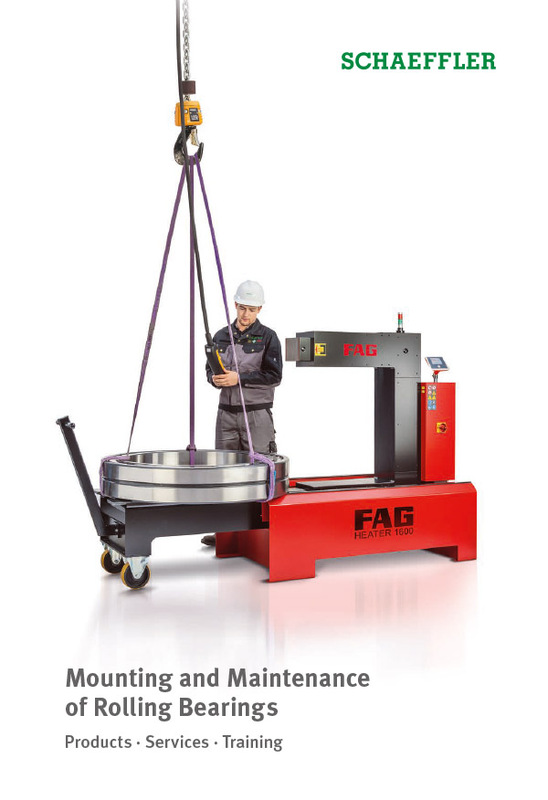 With the proven FAG Detector III, mobile vibration and temperature monitoring is quicker, simpler and more reliable. The functionality of automatic measurement point detection is not available worldwide. 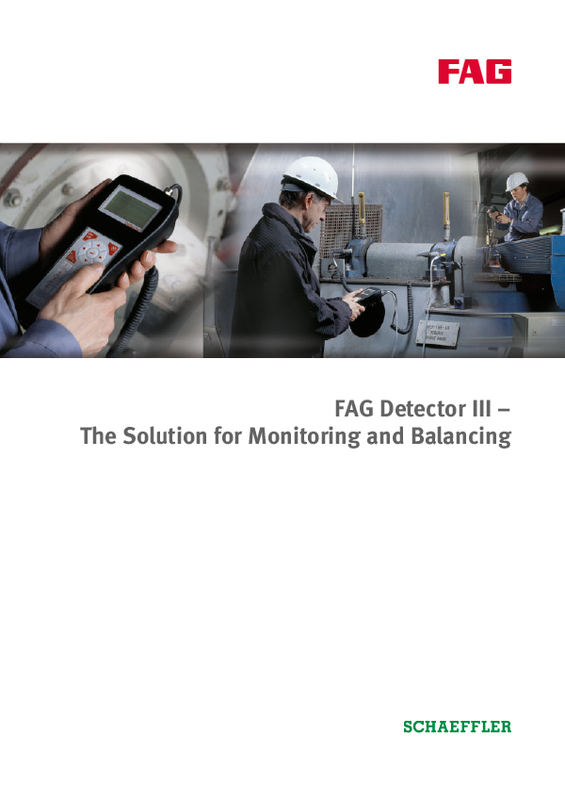 A further special feature of the FAG Detector III is the balancing function. For this purpose, the optionally available balancing kit is required. This makes it possible to not only detect, but also eliminate imbalances. The results of the balancing process are also transferred to the Trendline software for evaluation.